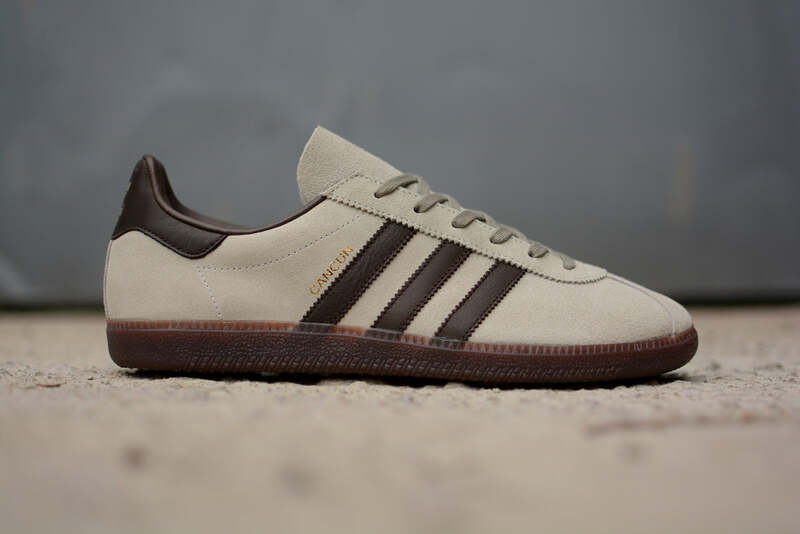 adidas Originals revisit their iconic Island Series for Autumn/ Winter 2015. A mainstay of the brands 1980s back catalogue, the series created a number of silhouettes that drew inspiration from islands from around the world. 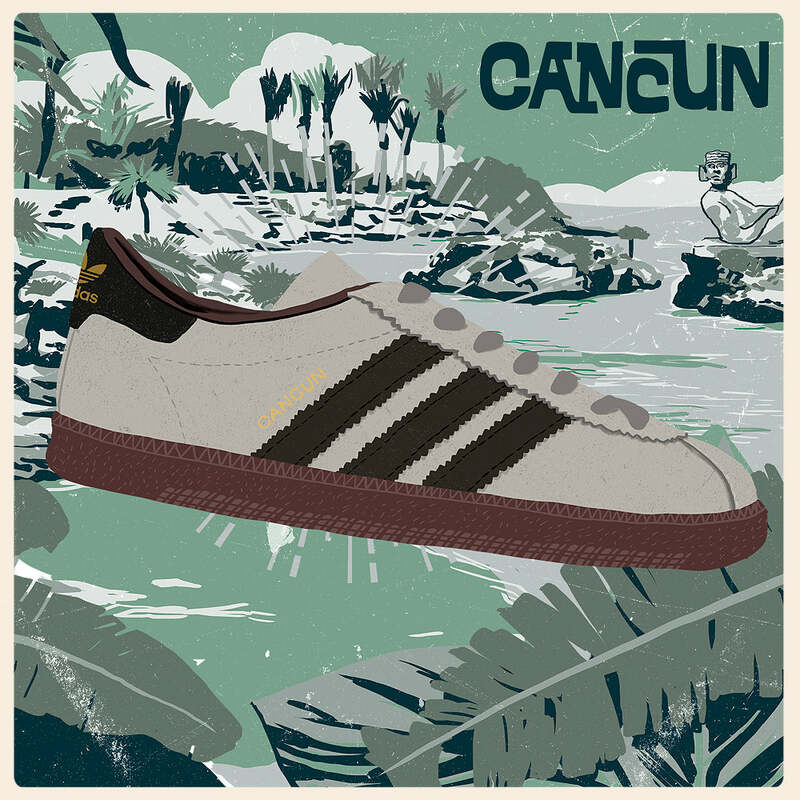 The second shoe to release from this collection is the Cancun. Constructed from sandy suede with deep brown leather accents on the three stripes and heel tab. 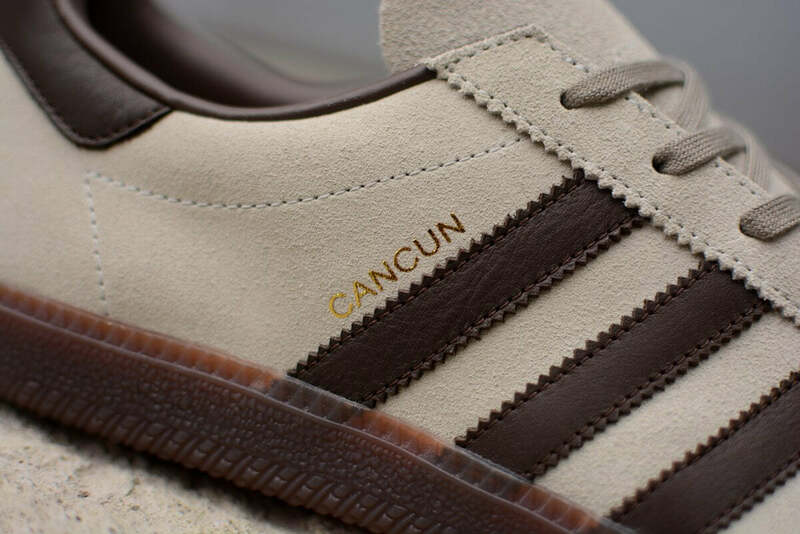 Sitting on a brown gum rubber cup sole unit and finished with gold foil ‘Cancun’ text on the lateral sides.